Binge eating is repeated episodes of secret and uncontrollable eating. 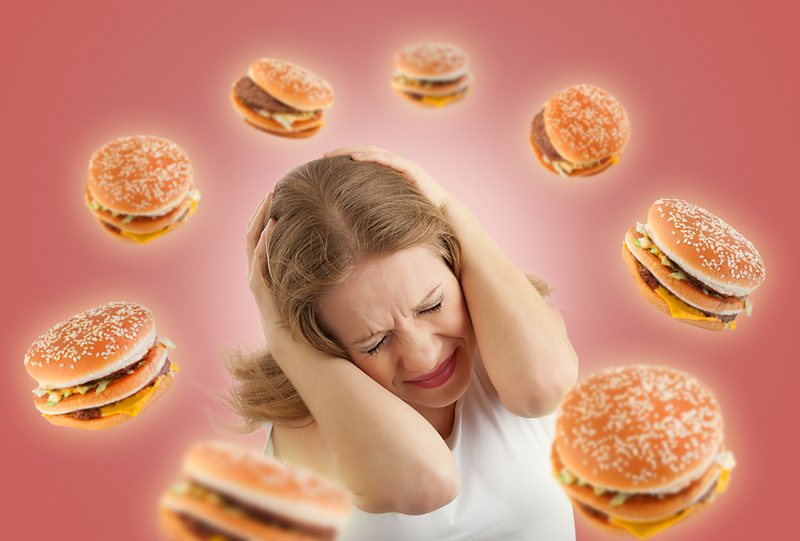 During the binges, a person rapidly consumes an excessive amount of food which is shortly followed by intense shame and guilt. Binge eating feels for many people as if they have been “taken over” by someone else. Compulsive Overeating is not the name of an eating disorder, it is a term that sufferers use to describe eating patterns that feel out of control and which can feel like an addiction to food that could make them gain weight. People who describe themselves as compulsive eaters feel that they cannot control their eating and thus they end up eating more than they need. As a result, compulsive over-eaters usually struggle to control their weight. Compulsive over-eaters have cravings that they cannot master, and may over eat small or large amounts of food, or just pick and nibble some of the time. So Binge Eating Disorder and compulsive overeating are much the same thing and the differences between them do not really matter. Because compulsive over-eaters feel that they cannot control their intake of food, they are likely to describe themselves as lacking in “willpower” and they would usually say that they are eating for comfort rather than for genuine physical need. How do I know if I am a Binge Eater? If you have answered yes to one or more of the above, then you could benefit from Binge eating counselling. The aim of treatment for binge eating is to help the client have a more relaxed and confident relationship with food and to break the compulsive eating patterns and bring eating back under control. You will stop worrying and thinking about food, dieting and weight. We will show you how to manage your weight without resorting to extreme methods of dieting or other forms of self-abuse. Binge eating treatment will target the triggers that make you overeat so you can have a healthy relationship with food, enjoy the occasional treat and stop eating when you have had enough. The therapy is designed to help you to manage your weight without resorting to extreme methods. The treatment will target the underlying issues behind the problem and this may involve confronting old issues or events within the past. Sessions would start with a full personal assessment which would then be followed up with tailored personal one to one sessions which will provide simple techniques on how to maintain motivation to change, how to conquer cravings and control eating habits, how to cope with stressful situations, emotional strengthening, how to manage unhelpful thinking, obsessions, body image perceptions, self esteem and how to deal with any other issues which have been identified in your personal assessment.